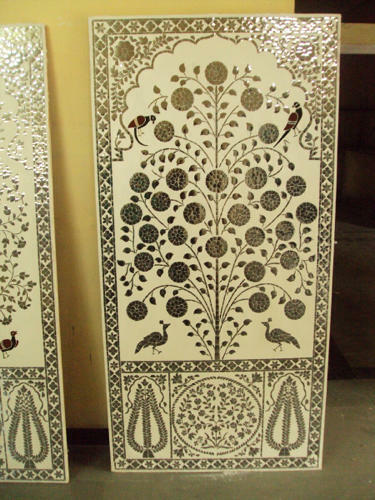 We offer excellent quality Glass inlay Work on Wall which is crafted by our team of creative professionals. The ecstatic workmanship reflects the creativity of our craftsmen and their quest for achieving artistic perfection. Understanding the differences in client demands, we undertake tailor made solutions as per client needs.